It’s been another busy month here in the nation’s drizzly capitol! I received the required 1+/1+ on my first language exam and now have just three weeks to get to a 2+/2+. Ha. Ha. GULP. Portuguese continues to test the elasticity of my frazzled brain, but my English is definitely faltering so let’s hope that means that my Portuguese is improving. I also received my official Senate confirmation, which I assume passed with much gavel-pounding and hip hip hooraying. And I’ve had a lovely string of visitors, including my sister, who is gracing me with her presence while she job-hunts in Washington, D.C. Most importantly, she and I started watching The Great British Baking Show and have decided to become master bakers in our spare time. Attempt #1 was a success. Mary Berry would be proud. 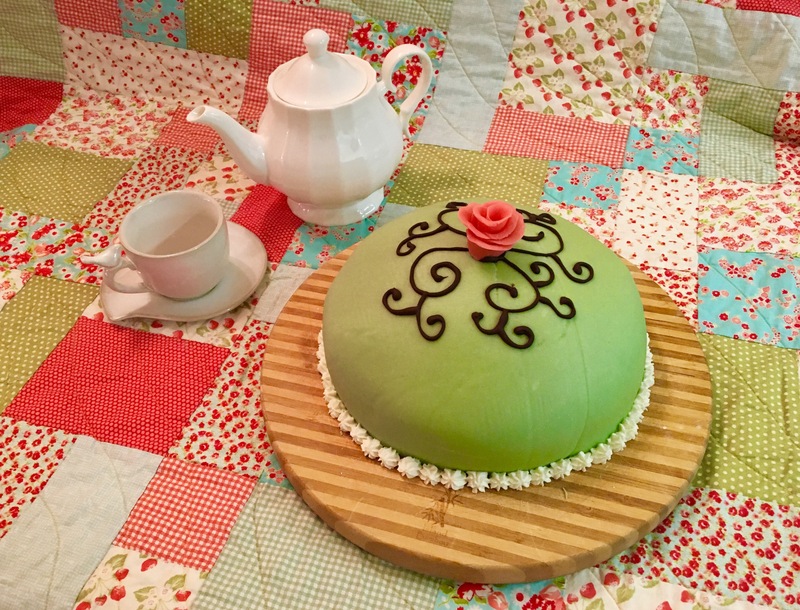 In just nine hours, you too can create a Swedish Prinsesstårta! I’d also like to thank those of you that have reached out recently with questions about the application process. While I was applying to be a diplomat (a painstakingly slow process that took well over two years), I read several Foreign Service blogs that were incredibly helpful in explaining the process. So for the next few posts, I’d like to add my two cents and delve into my pursuit of the Foreign Service. I hope you find these posts useful! June 19, 2014: ‘Twas a quiet summer morning in New York City. Birds were chirping, the sun was shining, and my study notes were flapping in the wind as I frantically debated whether or not I needed to understand the Hay-Bunau-Varilla Treaty. I rushed through the three-hour Foreign Service Officer Test because, as luck would have it, I had to report to jury duty that same day. At the same time. I skidded into jury duty an hour late and then promptly fell asleep in a waiting room chair. A month later, I found out that I passed the FSOT (yay!) but a few months later discovered that I hadn’t passed the following QEP essay round (how dare they!). I vowed to right this injustice and returned to my studying. June 12, 2015: The State Department allows applicants to test only once per year, so I waited several months to take the test again. During the test, I plodded through hundreds of questions, but while I was supposed to be recalling obscure facts on everything from world history to economics to math, I was instead distracted by the giant computer font size and the provided ear plugs: does anyone actually use them? I stumbled out into the light a few hours later. I ate a bagel. A month later, I find out I again passed the exam. July 2015: I have three weeks to write, obsessively edit, and submit six 220-word personal narrative essays. I struggle to summarize my many inspiring accomplishments in a mere 1,320 words. I attempt to add more pizzazz to my narratives in the hopes of impressing the QEP review panel, although I’m irked at them for not recognizing my brilliance the previous year. Luckily, pizzazz works! I receive an email three weeks later inviting me to the Oral Examination in Washington, D.C.
February 4, 2016: I spend the fall of 2015 in a perpetual state of panic. I annoy my friends with constant in-depth explanations of the three part, all-day Oral Examination, which involves a timed group negotiation challenge, a situational one-on-one interview, and a written case study. Evaluators watch silently throughout the day, and even the lunch break feels like a test. At the end of the day, as our heads bob from exhaustion, we nerve-wracked interviewees are led into individual rooms where we are told whether we pass or fail. Those that fail are literally escorted out of the building. Luckily, I pass! I take a celebratory nap. February 2016: I spend the rest of February filling out giant stacks of paperwork in the form of medical and security clearance applications. Not only must I list every trip I’ve taken out of the country in the last 10 years but the name and contact information of almost everyone I’ve ever met. One day at work, a security officer interrogates me for three hours and then meets with all my nearest and dearest friends in a variety of deserted office lobbies and lonely park benches. My security officer is pleased that I’ve never done anything scandalous enough to warrant decent gossip. I received my medical clearance later that month, which means that I’m healthy enough to be sent to a country without doctors: must not fall off any ladders. July 15, 2016: After months of obsessive email-checking, I officially receive my security clearance and am put on the Foreign Service Register, a list of super-qualified diplomat-wannabes. We are ranked only by our Oral Examination scores, so many people will make it this far and still never receive a job offer. We can wait on the Register for 18 months before we’re dropped from the list and have to start the application process over from the beginning. Eek. September 26, 2016: I officially receive an offer to join the January 9, 2017 189th A-100 class! I spend a good part of the morning bouncing around a conference room at work and send dozens of ALL CAPS TEXTS to everyone I know. January 9, 2017: I spend a few months wrapping up my current job, seeing my friends and family, and let’s not forget: packing. I arrive in D.C. the afternoon before I’m scheduled to start and neatly hang my first-day-of-work outfit in the closet. The next morning, I nervously approach the highly guarded entrance to the State Department. My heart nearly stops as the security guard scans his list of new employees and I breath a sigh of relief when he lets me through the gate. Let the fun begin! Only about 40% of applicants pass the Foreign Service Officer Test, and then only 40% of the remaining applicants pass the QEP essay round and are invited to the Oral Examinations. 20% of the interviewees pass the Oral Examination, which is only 3% of the original applicants. Most diplomats went through this process more than once, as did I. So to those of you interested in applying, stick with it!